A new university, named after legendary master of Persian painting and miniature Mahmoud Farshchian, has been opened in Iran with the main goal of protecting and globalizing traditional Islamic-Iranian arts. Ten years ago, concerns about the future of Islamic and Iranian arts and the aesthetic identities of national arts in Iran prompted Farshchian – as one of the leading artists in Iran with high sensitivity to the survival of Iranian arts – to raise the idea of establishing the university to protect the country’s artistic heritage. He believed the university needed to be established in order to compensate for inefficient academic centres which have pushed the original Iranian arts to extinction. “Unlike other universities, the new academic centre is set to establish a new record by relying mainly on traditional and post-traditional methods,” said Bahman Namvar Motlaq, the dean of Farshchian University, who has been picked up by Farshchian as his representative to follow up the arrangements to launch the new university. He also said the new centre, which is expected to preserve Iran’s traditional arts, will admit students at the PhD level in the near future. In the first years, the university will admit students only in three majors of miniature, calligraphy and pottery, he noted. 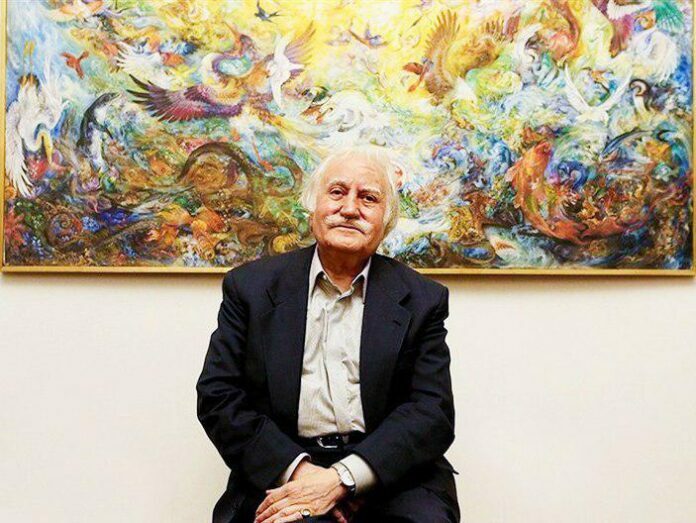 Namvar regretted that over the past years, large Iranian universities have failed to bring up leading artists in traditional arts and said to remove the problems the founders of Farshchian University have decided to establish the new centre based on student apprenticeship system. In his first interview after the inauguration of the university, Farshchian told IRNA the centre is aimed at training young masters. 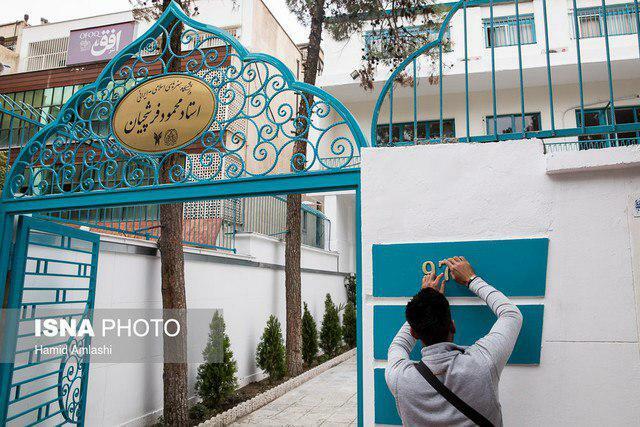 Farshchian University of Iranian-Islamic Arts was inaugurated on October 22 in a ceremony attended by the Minister of Culture and Islamic Guidance, Minister of Science, Research and Technology, Head of the Board of Trustees of Azad Islamic University as well as a number of artists, academics and cultural figures. The university will begin to admit students as of next academic year. Born in 1930, Farshchian is an Iranian contemporary painter who has had a leading role in the development of traditional Iranian arts. Some of his masterpieces have been presented by Iranian foreign ministers as gifts to the heads of states from across the world.